Russian Spetsnaz tactical gloves, also Soviet Army Soldiers and Officers military winter mittens, variouos leather gloves for airsoft and combat tasks. Genuine leather tactical gloves for Russian Spetsnaz and OMON ( S.W.A.T. ). Special fist protection ..
Russian modern tactical winter gloves from BTK group. Used by most military formation in Russia. Mad..
Special long winter camo gloves from Russian Army. They cover the hand almost up to the elbow, detac.. This modern tactical gloves-mittens universal used by snipers in Russian army. Its popular.. Warm camouflage ergonomic tactical gloves, made of modern softshell fabrics. Lightweight and compact..
Special warm winter gloves, made for Russian Army soldiers and officers. Digital flora pattern, also.. Warm brown navy gloves for sailors winter use. Sheep's fur lining inside, brown mittens made for Rus..
Genuine leather special purpose light mountain gloves, thin leather allows the fingers to feel the r..
Russian Army Marines military camouflage gloves. 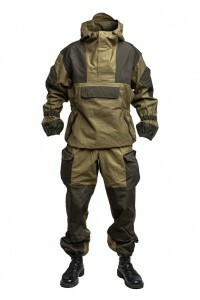 Flora pattern, warm lining inside, mittens given to..
Water and dirt repellent coating treated with "wrx" and "armortan" technologies, giving elasticity a..
Tactical gloves for Ratnik combat gear for sale, designed to reduce damage to hands during combat op..
Kevlar gloves with steel thread. Excellent protect hands from knife wounds. Used by Russian special ..
Those gloves were given to Soviet Army Officers in winter. Natural fur inside. They have 2 free fing..
Black leather Russian tactical Special force Gloves, also perfect for airsoft, bikers and drivers. .. Warm navy gloves for sailors winter use. Fur lining inside, black mittens made for Russian Navy flee..